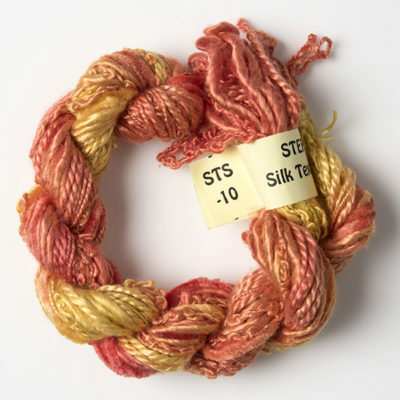 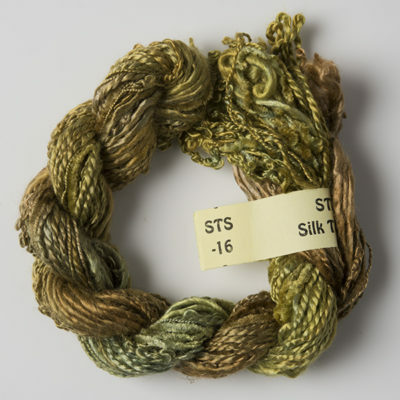 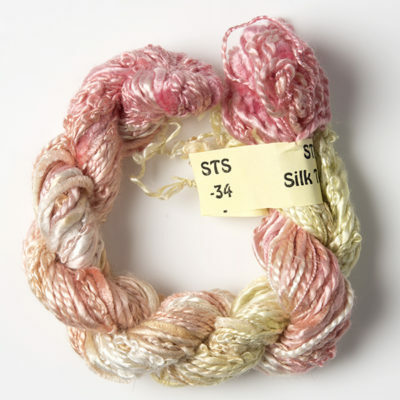 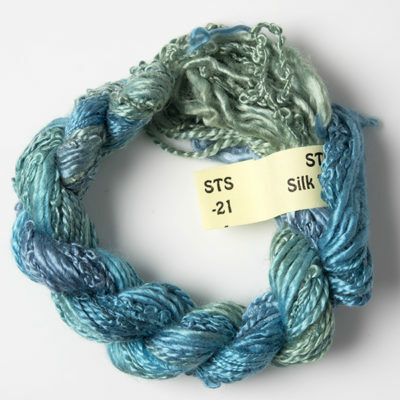 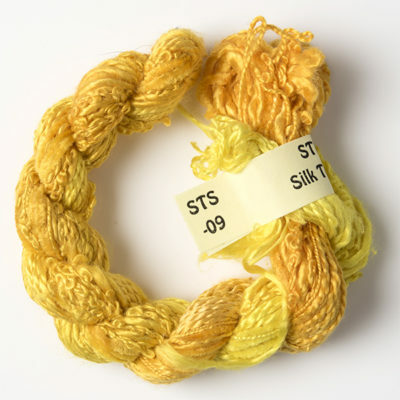 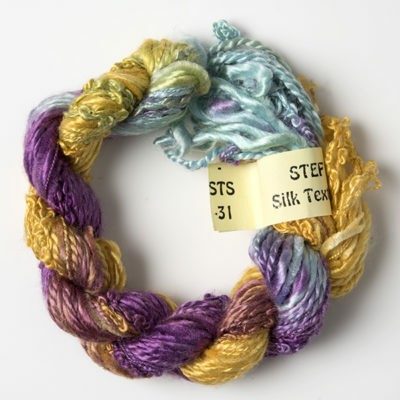 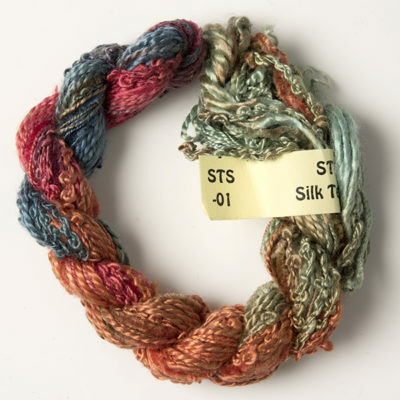 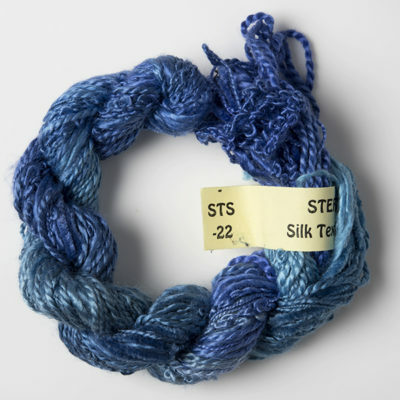 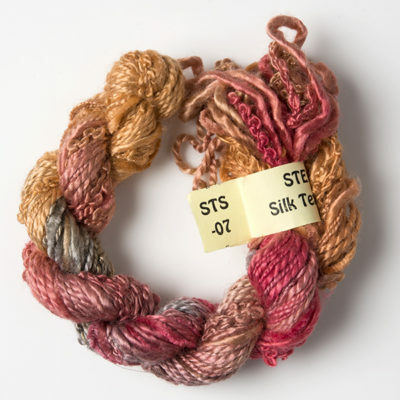 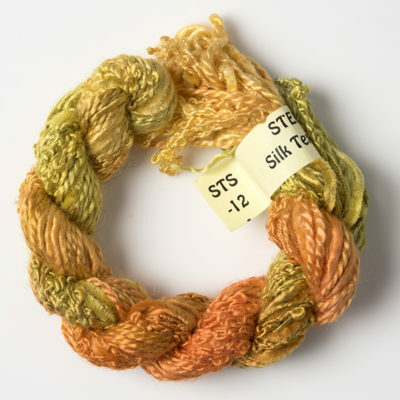 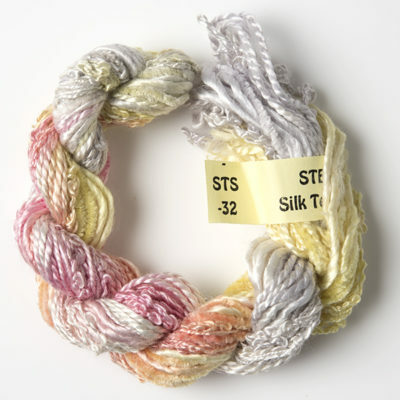 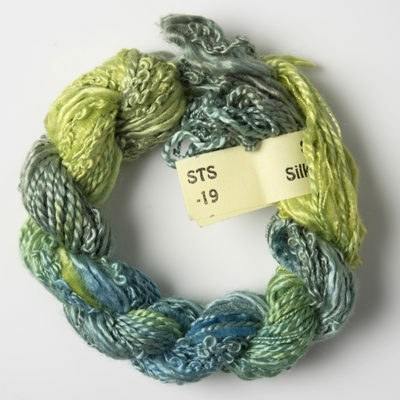 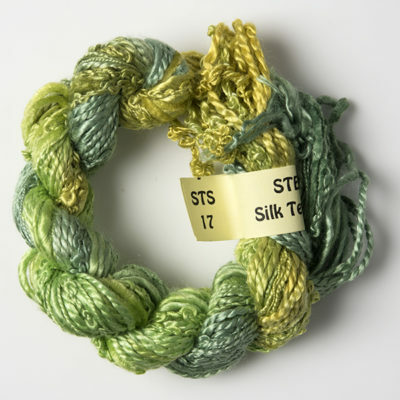 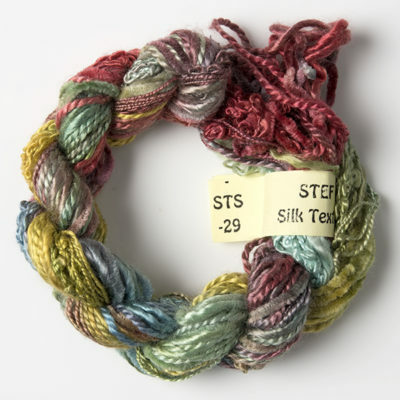 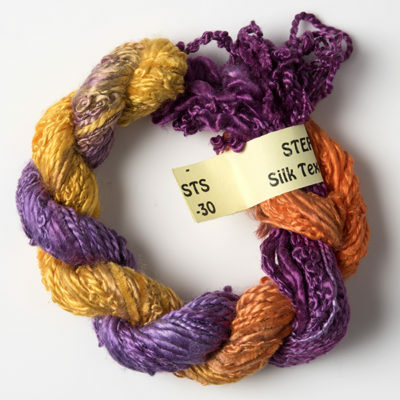 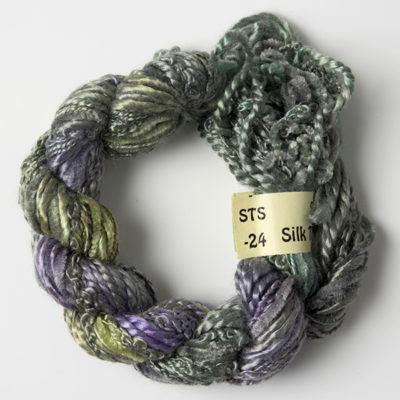 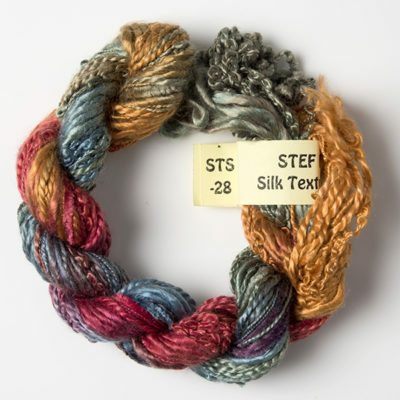 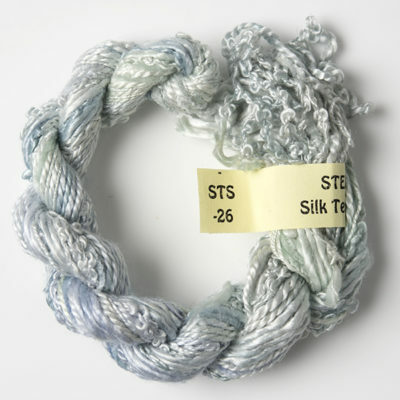 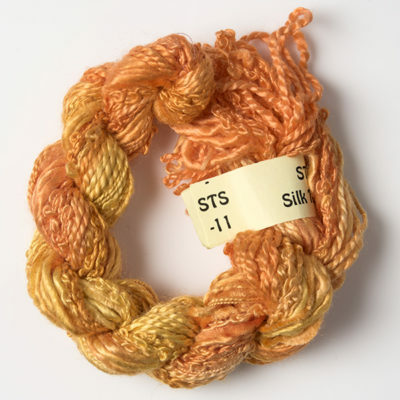 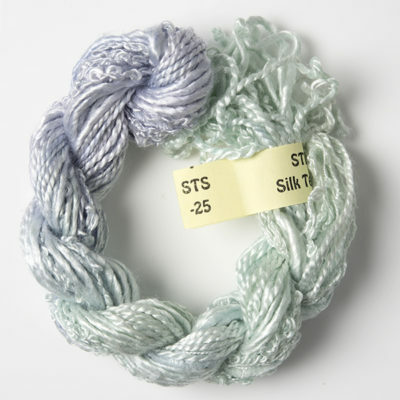 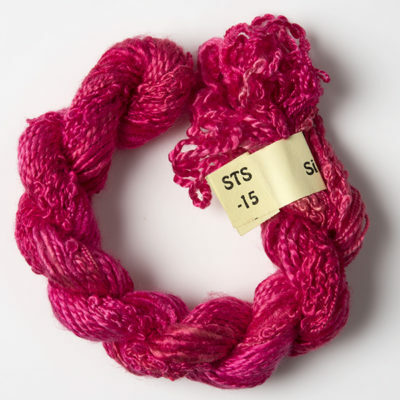 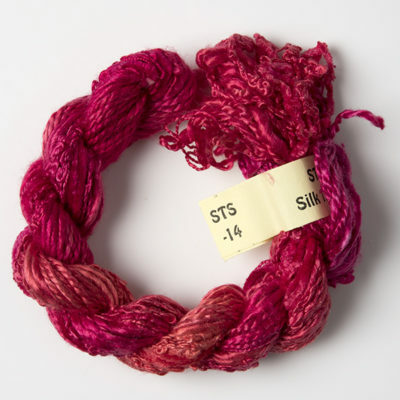 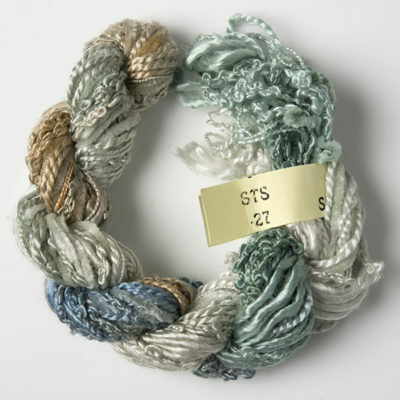 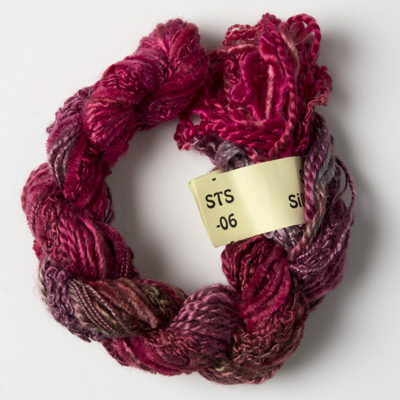 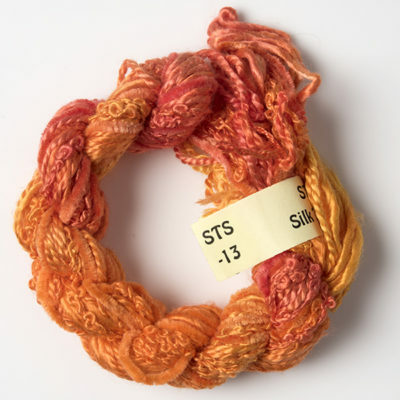 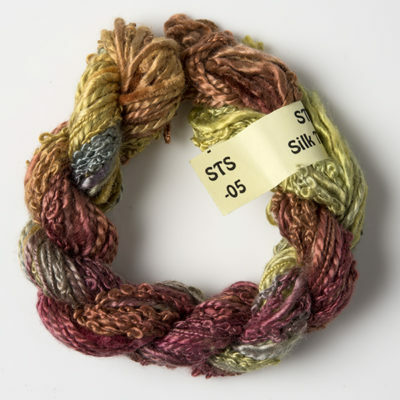 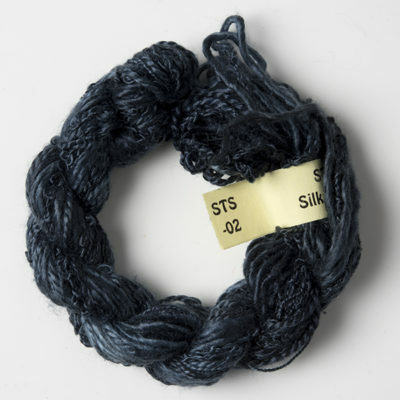 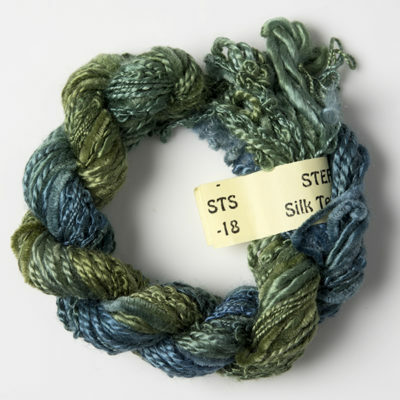 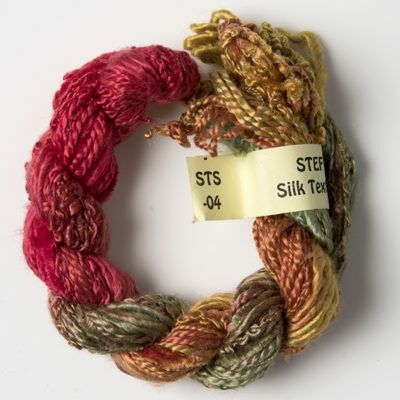 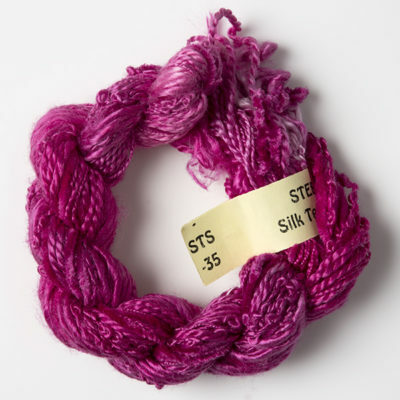 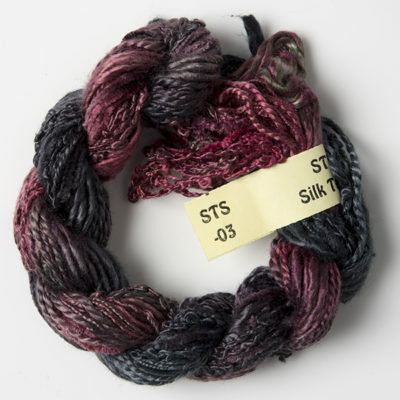 The Stef Francis Silk Texture Selection is a skein of 5 mixed silk yarns of different weights and textures, all dyed together in the same multi-colours. 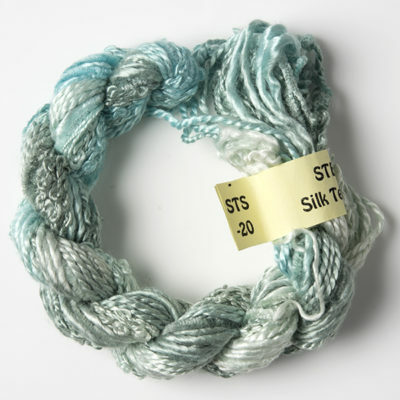 Length : 4m of each yarn – 20m total. 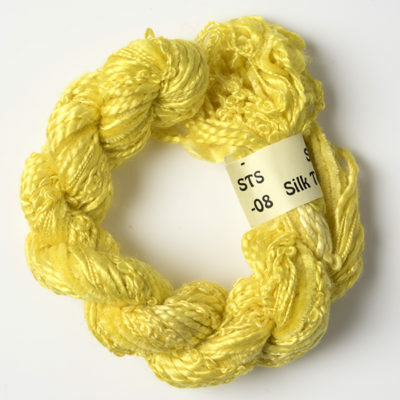 Good for : Creative embroidery, card making, etc.